Children in Merton can now immerse themselves in the wonderful world of make-believe at the new sensory library in Morden. Morden's sensory library awaiting its ribbon-cutting opening. 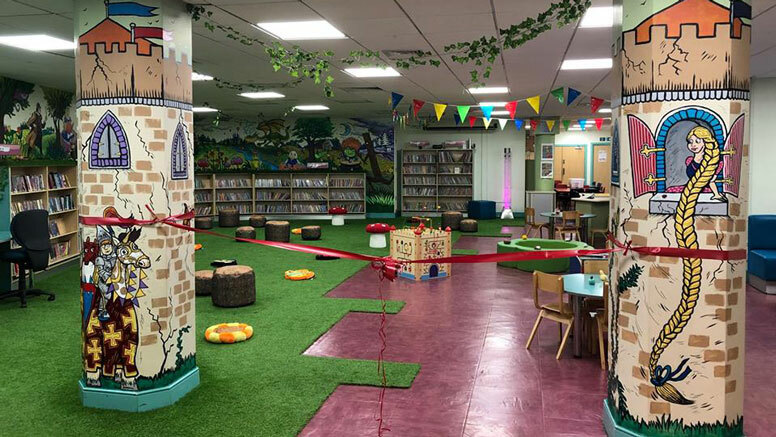 From magical forest seating and grass carpets to paintings of beloved book characters, the children’s library is the first of its kind in the borough. Morden library has transformed its children’s area into a space that appeals to the senses: touch, smell, taste, movement, balance, sight and hearing – all helping to improve communication skills and encourage reading, giving children somewhere fun to learn. The London Borough of Merton is transforming its library spaces through innovation, collaboration and consultation – increasing usage while reducing costs.